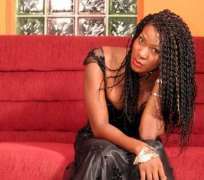 Ex-beauty queen and top Nollywood actress Stephanie Okereke has found what she had been searching for all these while. The transformed actress is currently in far away California (USA) preparing for the premiere of her soon to be released movie. In case you missed it, Stephanie has fallen in love with movie directing and close pals say she might just remain a movie producer alongside juggling her acting career. When asked if the reason she has been in America for the past two months is because she has a man there whom she wants to be with, the actress gushingly said, “Must everything be about a man? You should know, I'm gone past that. Just trying to stay focus girl!” Well, I agree, Stephanie looks great, movie directing does her good alright, but somehow, I disagree with her single status, Stephanie needs to get hooked fast.